Unique B-Listed church located in a beautiful scenic coastal area at the top end of the hamlet of Kilmichael of lnverlussa, near Lochgilphead, Argyll. The church occupies a slightly elevated position with views to Loch Sween and the hills beyond. The accommodation comprises the main church hall, entrance vestibule and church office. The sale includes the footprint of the building only, and the surrounding Churchyard are owned by the local authority. 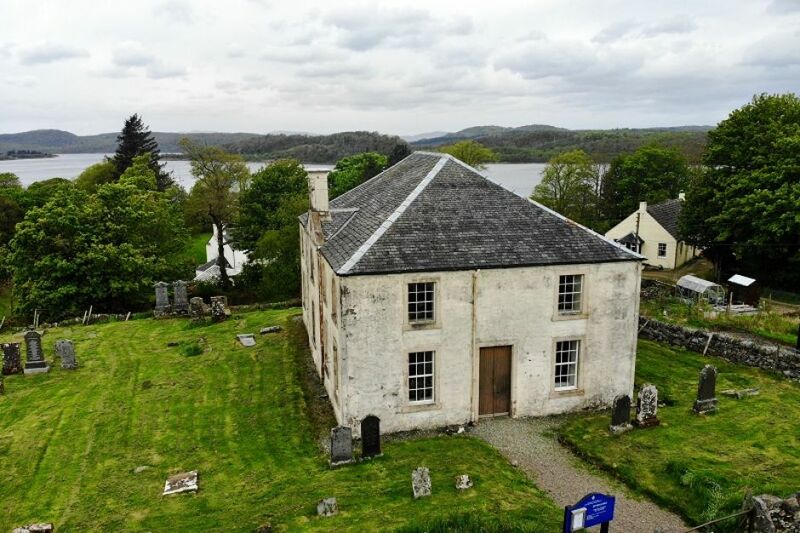 The church is situated on the banks of Loch Sween and is surrounded by natural beauty offered by the West of Scotland. Achnamara is the nearest small village, located a mile from the church. Lochgilphead is approximately ten miles away and provides all the necessary amenities such as primary and secondary schools, local shops, various cafes, pubs, restaurants, hotels, supermarket, GP surgery, Community Hospital, dentist, optician, vet and many more.